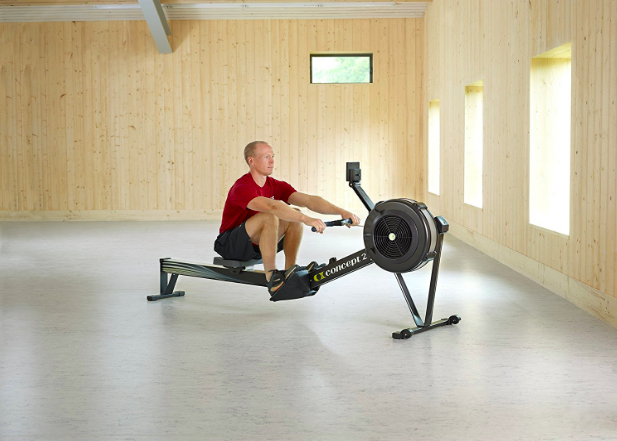 Finding a great rowing machine that fits your budget once took a lot of time and effort, but we made your search a little easier by doing our own reviews of some of the top machines. 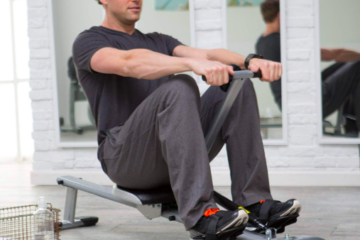 The Sunny Health & Fitness Rowing Machine is a good budget-friendly rowing machine that helps you tone your arms and legs to get in shape for beach season. 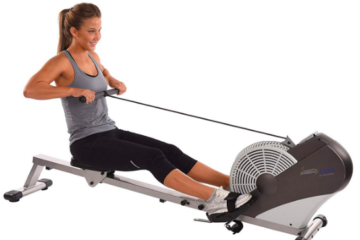 Buying a rowing machine can easily cost thousands of dollars, but this Sunny Health & Fitness model is a good budget-friendly rowing machine. It features a non-slip grip on the handlebars and anti-slip pads on the pedals to help you stay comfortable and keep you in the right form as you workout. This machine gives you an easy and convenient way to workout at home. 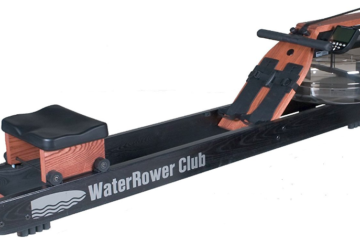 If you want a rowing machine under $300, this is a good choice for you. It uses magnetic resistance, which helped the manufacturer keep the price down, but that resistance still provides you with all the pressure that you need to tone up your arms and legs. 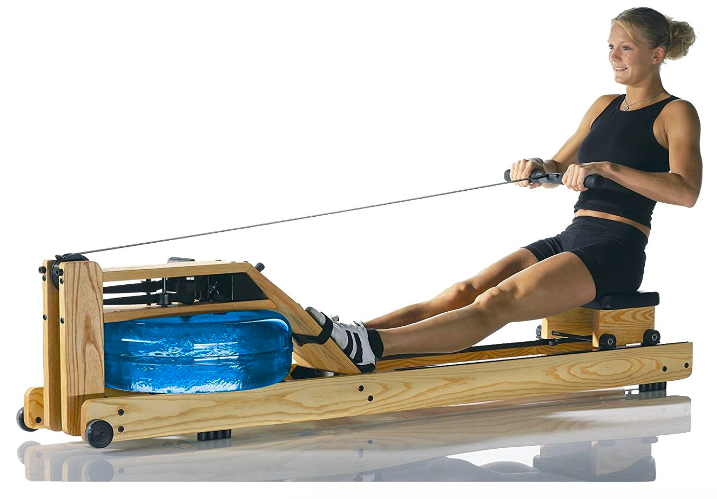 This one ranks as one of the top budget-friendly portable rowing machines too. 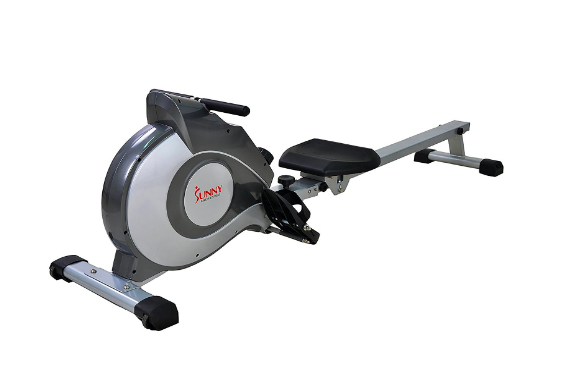 The Magnetic Rowing Machine from Sunny Health & Fitness is for those who want an easy-to-use rowing machine. It takes less time to set up than comparable models do and comes with handlebars that you can quickly grip with your hands. The anti-slip pads on the foot pedals help you stay in the proper form and keep your feet from moving as you row. It also added multiple levels of resistance on this model, which helps you adjust the machine to work right for you. 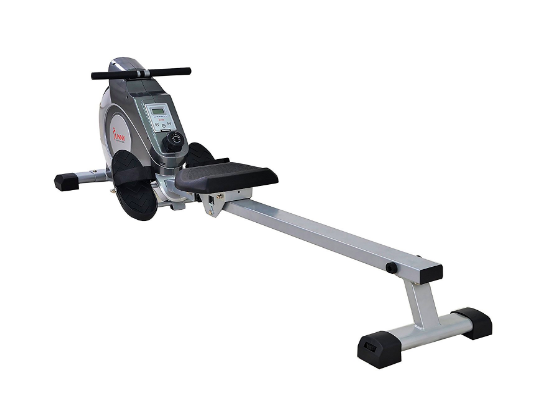 As the padding on the foot pedals have a non-slip design, this is the best rowing machine for those who never used one before and are a little nervous about using a rower. After taking into account features like an LCD monitor and different resistance leels, we had to give our nod of approval to the Sunny Health & Fitness Magnetic Rowing Machine. The metal bar used in the center allows the seat to move smoothly, which lets you work your legs while also toning up your arms. Most of the complaints we found concerned the noise it produces and the parts that didn’t come included. If you want a $300 or under rowing machine, feel confident spending your money on this magnetic rower. It will help you burn calories and get rid of those extra pounds. This model can also help you maintain the proper form during a longer or more intensive workout. Looking at all the options available and comparing different models is the best way to find one that is right for you. 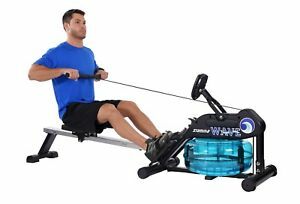 We like both the look and the design of the ATS Air Rower from Stamina (Check Price on Amazon.com), which comes with a sliding seat along the aluminum bar. This seat slides quickly down that bar to help you sit as close to the handlebars as you want. The ATS Air Rower is a little more expensive but still comes in at less than $300. Textured added to the handlebars keeps your hands on those bars, and the pivoting foot pedals move at the same time that your feet move. If you can afford to spend a little more, this might be your top choice.